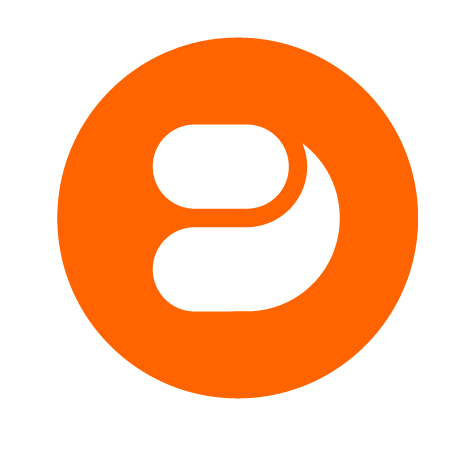 Push Notification Certificates let you send notifications to users of your app. They must be created before a Provisioning Profile since they are embedded within the Provisioning Profile. 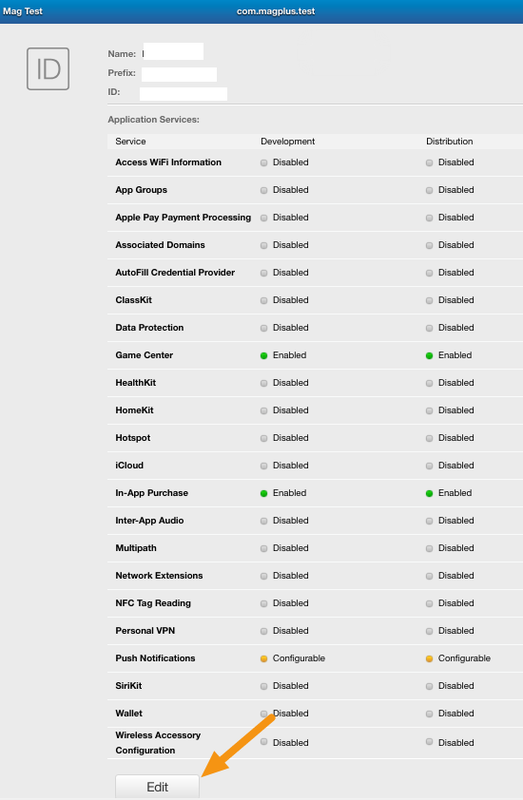 Note: While Push Notification Certificates are optional for regular iOS apps, they are required for Newsstand apps. 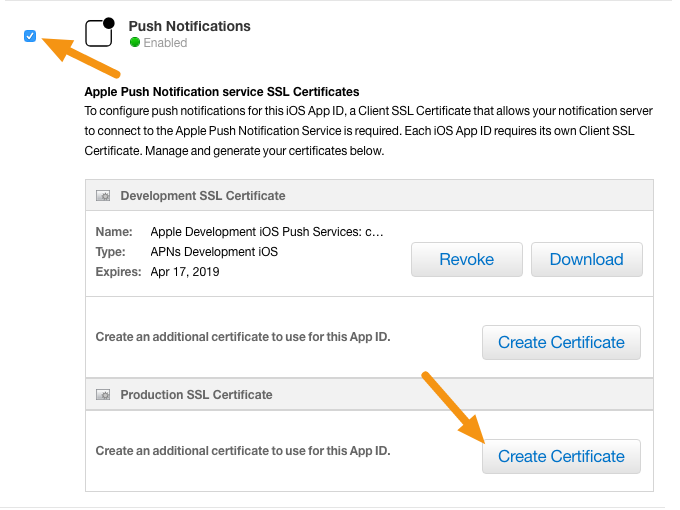 If you are unsure if your Provisioning Profile has Push Notifications enabled, read the article "iOS - Check if your Provisioning Profiles Accept Push Notifications." 1. 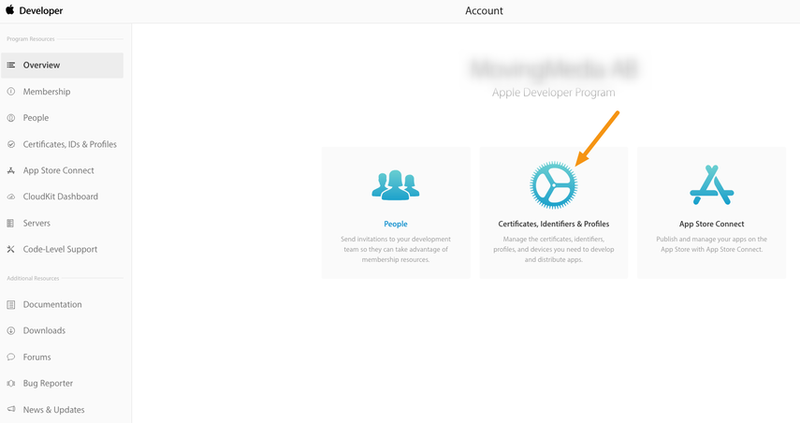 Login to the iOS Dev Center <https://developer.apple.com/account/#/welcome> and click on "Certificates, Identifiers & Profiles." 3. Click on the App ID you created previously for your app. 4. On the screen that appears, click on the "Edit" button. 5. Place a checkmark next to "Push Notifications" and then, under Production SSL Certificate, click on the "Create Certificate" button. 6. On the screen that appears, click on the "Continue" button. Note: Be sure you have your Distribution Certificate available before proceeding. 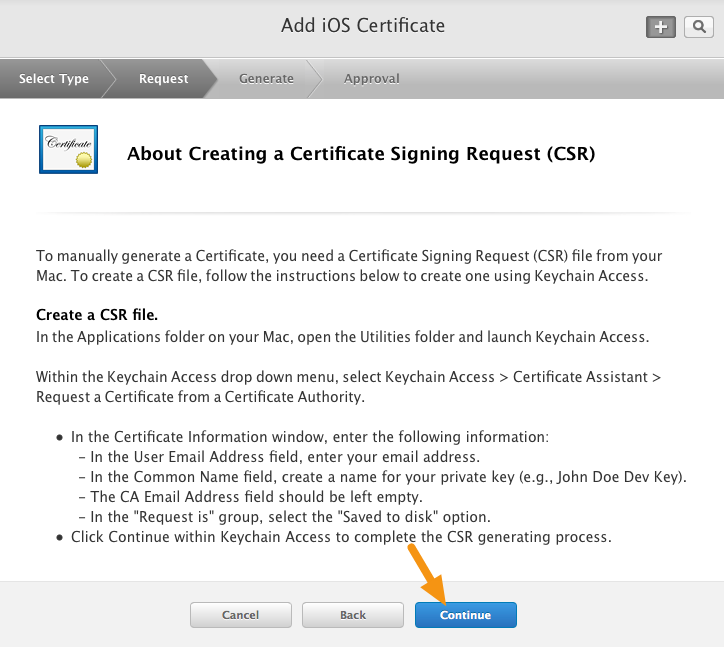 The certificate is referred to as a CSR file and has a default extension of ".certSigningRequest." 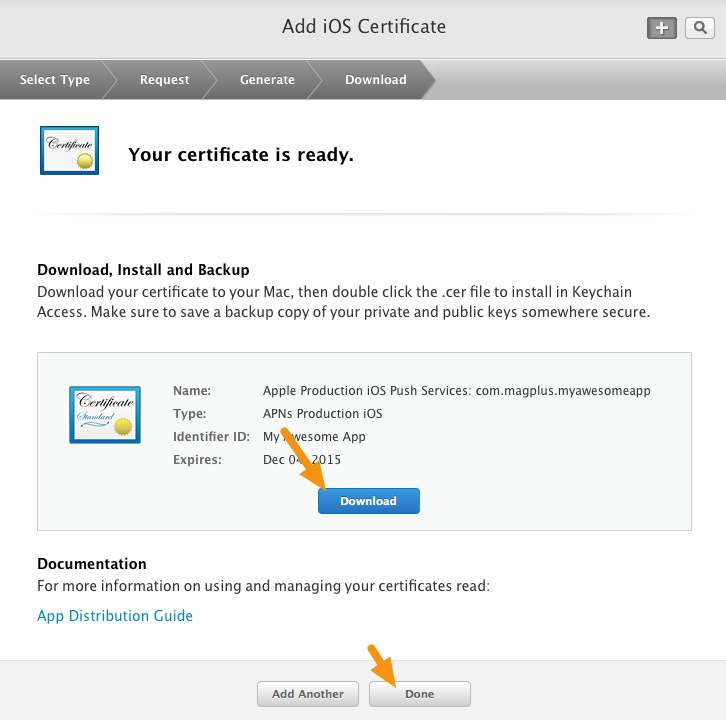 If you don't, please read the article "iOS - Creating a Distribution Certificate and .p12 File." 7. 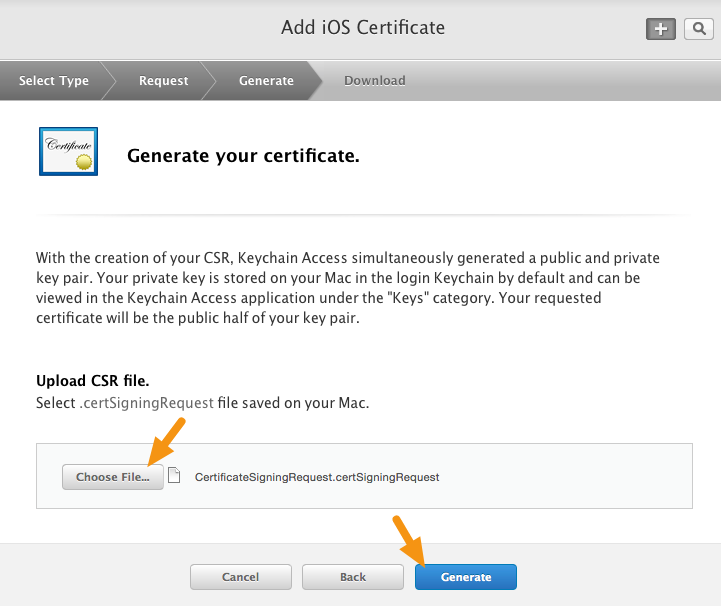 Click on the "Choose File" button and select the CSR (Certificate Signing Request) file you have downloaded, then click on "Generate." 8. Click on the "Download" button to download your new Push Notification Certificate and then click on "Done." 9. Double-click the ".cer" file to install it in Keychain Access. It will have the name "Apple Production iOS Push Services" and will expire one year from today's date. You can then export it as a .p12 file (see below) and upload it to the mag+ Publish portal. 1. 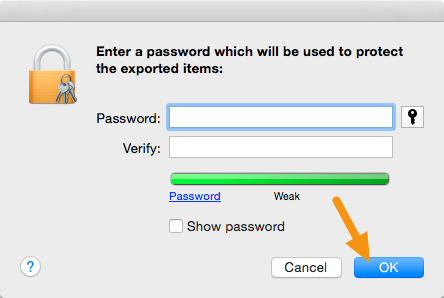 In Keychain Access, select the certificate entry and right-click on it to select "Export." 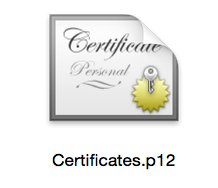 Note: All certificates you have installed will be in the "login" keychain (Label 1) under the category "My Certificates" (Label 2). 2. In the window that appears, add "Push-" to the file name, make sure the File Format is set to "Personal Information Exchange (.p12)" and click on "Save" to save it to your machine. Note: You MUST NOT enter a password in this step, otherwise the mag+ Publish portal will be unable to build your app. Note: You can now upload your .p12 file to the mag+ Publish portal and use it to create a Provisioning Profile. 6. Login to the mag+ Publish portal <https://publish.magplus.com> and go to Apps > iOS > Apple Push Notifications. 7. Click on "Choose File" and upload the .p12 version of your Apple Push Notification Certificate you created above, and then click "Save." Creating push notification certificates are only one step in creating an iOS app for distribution. 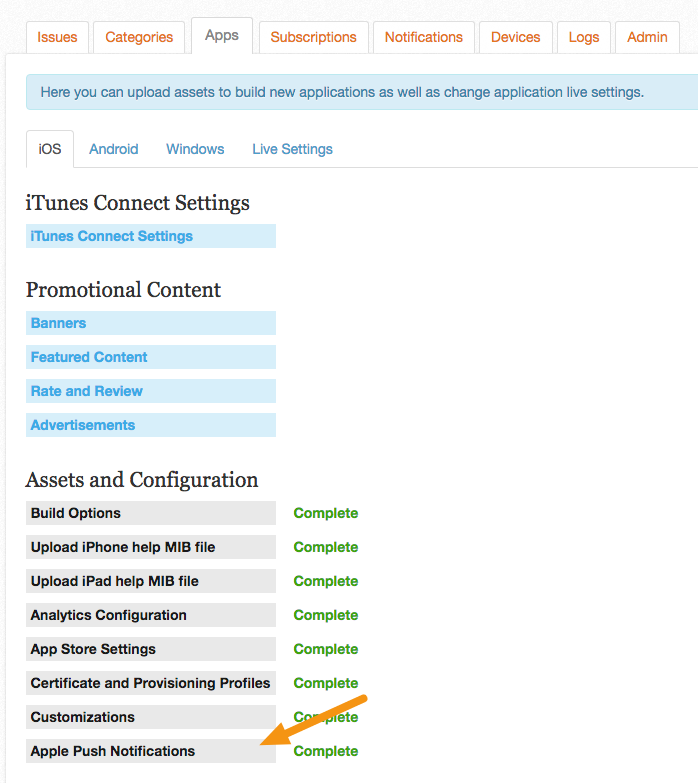 Please refer to the additional articles in this section for information on setting up provisioning profiles and configuring in-app purchases. These items correspond to settings in the mag+ Publish portal. 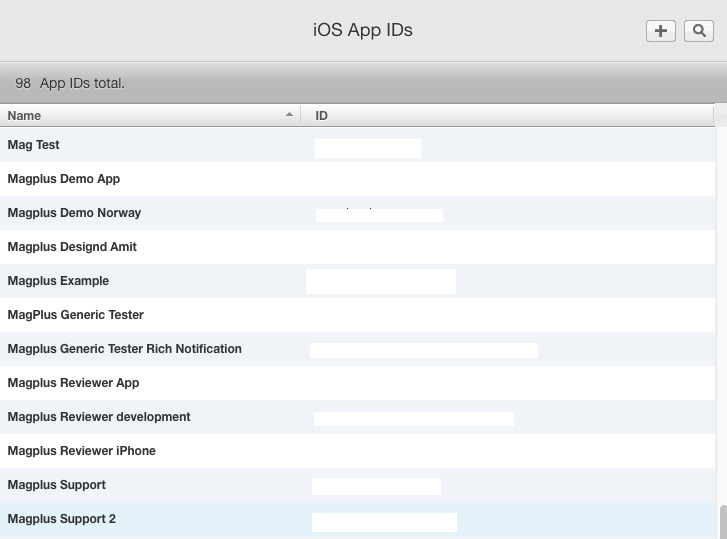 The portal will actually build your customized iOS app. You will then upload this app to the Apple App Store or to your own internal distribution servers (for enterprise customers only).